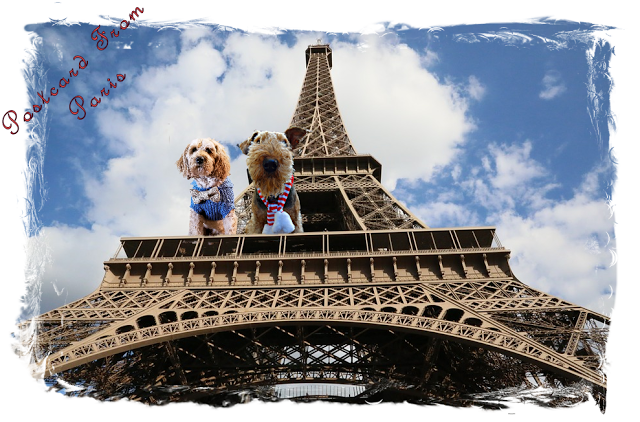 Ruby the Airedale: Postcards from Paris! 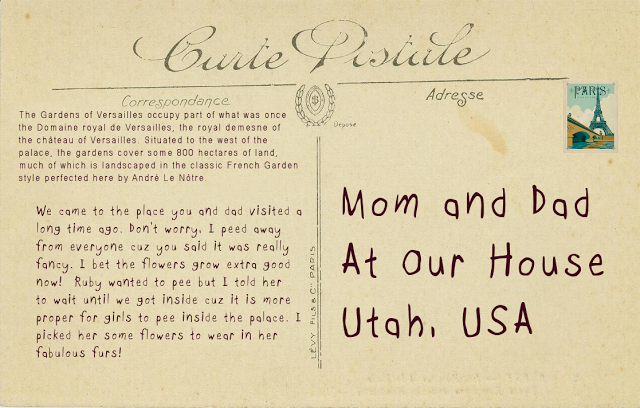 on their Blog Hop from PARIS!!! OMD, we flew FIRST CLASS!!! And they even allowed me to make my MARGARITAS! Wowsa! That's a long way down! You thinks I can hit that tree rat with my slobbers??! BOL! yeah, I thinks this was a good call! We KINDA caused some traffic problems ~ Murphy was chasing Wilson, and I HAD to follow! I PROMISE, we only drank waters......heheheheeeee BOL!!! I got a smooch from my Boo right in front of the Eiffel Tower! What a romantic dude I gots! I hopes all of you had a Valentine's Day as good as OURS! FASHION FABULOUSNESS that FIFI has put on the RUNWAY! I mean, lookie how FABulous Fifi made me look! Thanks Fifi!! You're the best! Happy Valentine's Day Ruby, you sure had a great time in Paris!!!!! What a perfect Valentine's Day! 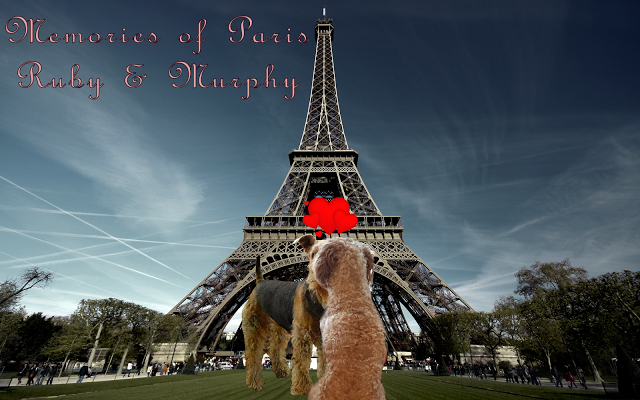 You and Murphy sure had a good time in Paris. We had so much fun there too. 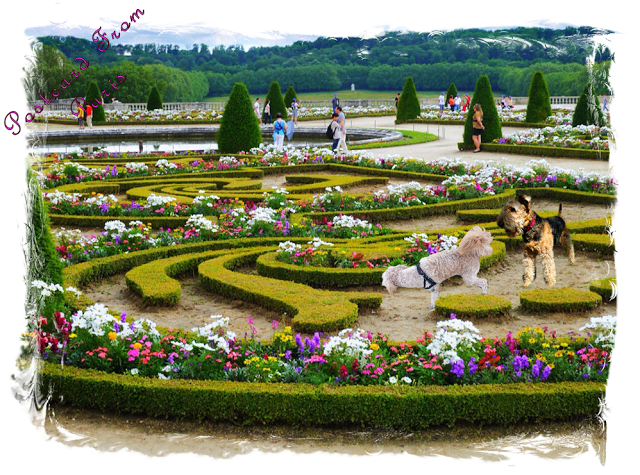 Wasn't Paris just beautimous, Ruby?!! 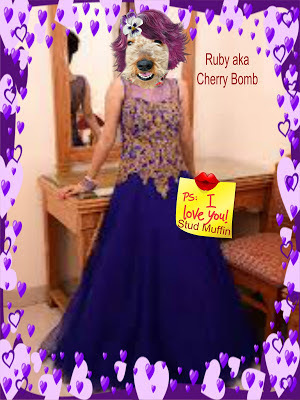 Looks like you and your stud-muffin had a pawsome time!! Wow! That was a whirlwind tour! Glad you had so much fun! It can't be first class if you have to make your own margaritas. 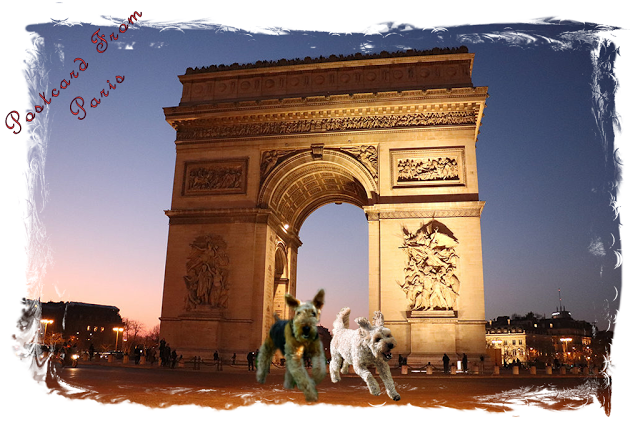 Paris was so pawfect!! I'm so glad I got to share the plane ride with you. It was fun having a little "girl talk" over margaritas! What a date! First Class, all the way! We all had a fabulous time in Paris! What a WILD time, Ruby! You have the bestest boyfriend (fiance)!!! Murphy really knows how to impress his fiancé! 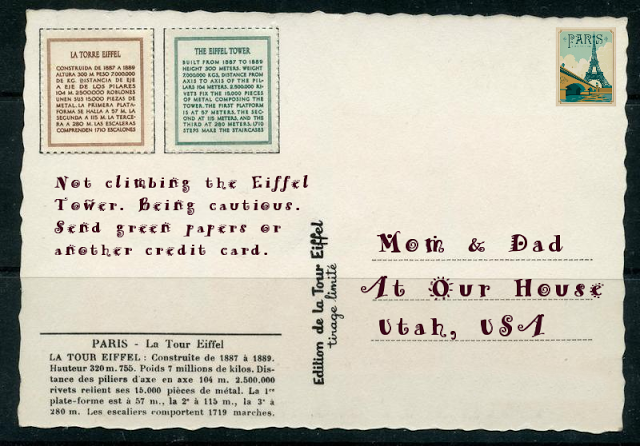 I laughed so hard at the postcards and loved seeing Paris through your eyes. you looked beautiful in your gown. How much fun was that!! 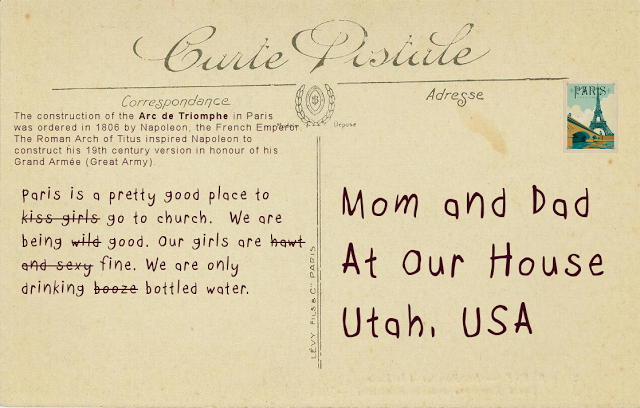 Your postcards are fabulous and made me laugh. 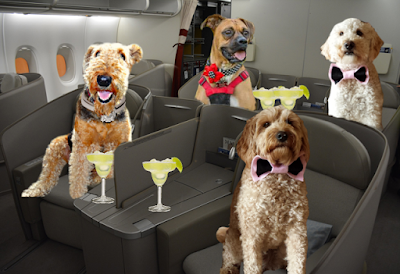 Glad you made it home safely with great memories to tell your pups (when the time comes). Fifi sure made you look even more furbulous than you normally do. Nice job. Looks like you had a blast with your beau in Pawris. That was a fun event! Hey you wild and crazy pup, Mom says she'll make another banana pie when you're in town. Don't forget the drinks.